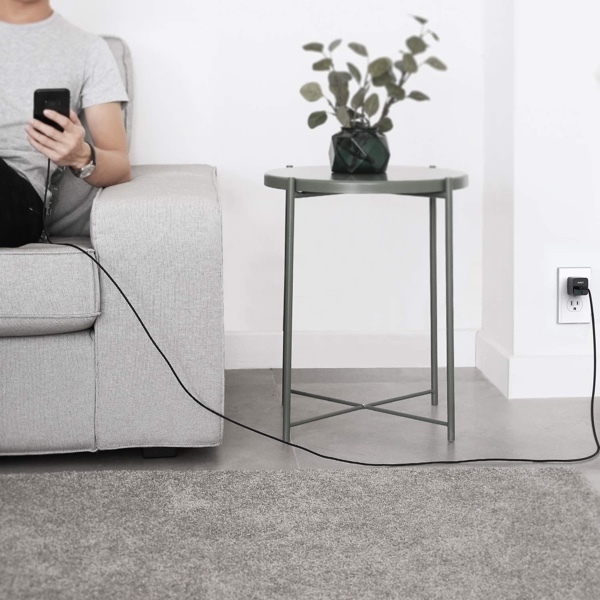 AUKEY is a name that you will be very familiar with if you’re a regular reader of ours, because we’re always keen to share when we get wind of a deal involving one of their products. 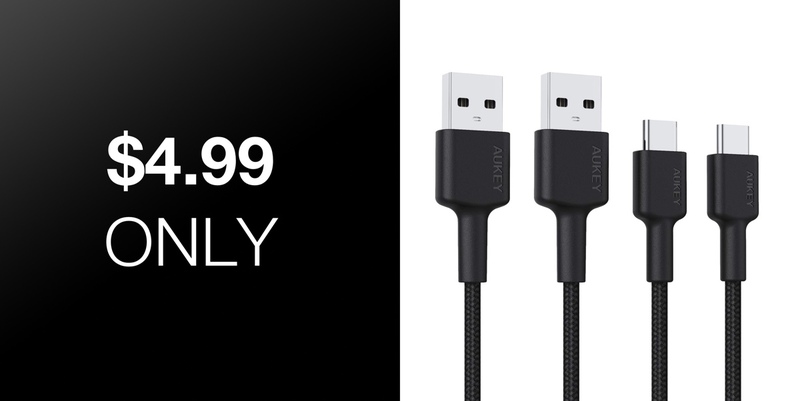 Today is a great example of that, because we have a deal on not just one, but two of AUKEY’s great USB-C charging cables. Buying a USB-C cable can be an expensive affair, especially if you venture into a high street store to do your shopping. Amazon is a much better option here, and right now AUKEY is red hot. The accessory maker was already offering not one, but two of its USB-C cables in 6ft guise for just $10, and right now you can half that if you enter to super special discount code. Both of these cables are USB-A to USB-C and are good for USB 2.0 transfer speeds of up to 480Mbps. You shouldn’t have any problems using them with Samsung Adaptive Fast Charging or Qualcomm Quick Charge, making them perfect for use with most of the latest and greatest Android phones, too. The braided nylon also means you won’t need to worry about these things falling apart, like many other, more expensive cables do. We’ve long been big fans of AUKEY’s work, so being able to pick up a pack of two, super long USB-C cables for just $4.99 is the thing that dreams are made of. Get your order in before someone comes to their senses.